It’s taken me years to build this baby up to 12 shadows that I love. 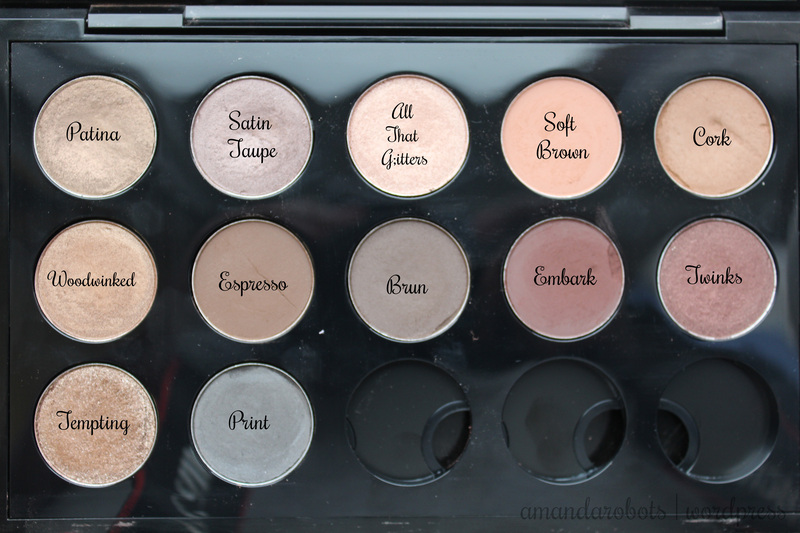 My MAC palette is a staple in my makeup collection, and actually holds some of my favourite shadows of all-time. The palette itself costs $10, while the divider to hold the pans costs $2. Each shadow in just a pan costs $12. It’s nice because you get to save a bit as opposed to buying shadows in the little plastic pot, although of course you can do that and depot the shadows to put in your pro palette.